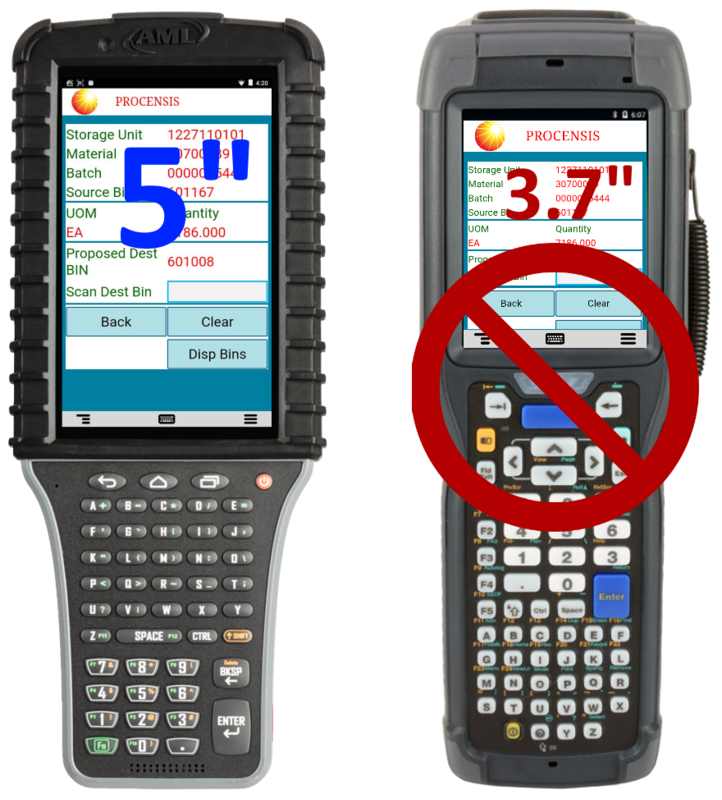 For quite some time, handheld mobile data collection devices have been based on some flavor of Windows Mobile or Windows CE operating systems and have typically included some type of integrated physical keyboard input device. More recently, with the widespread adoption of Android and IOS based smartphones, users of these devices have become accustomed to using on-screen software and touchscreen keyboards. This familiarity has carried on to the current market of Android based, rugged mobile data collection devices with the removal of a physical keyboard from nearly all new product offerings. Practical experience shows us that sometimes having a physical keyboard on this type of device makes great sense. Even though smartphones have become commonplace with users in their personal life, many have become accustomed to using a physical keyboard in the workplace. When observed, because most device manufacturers use a common key layout for handheld keypads, users are able to press required keys without even looking down. This feature was well thought out with the AML Scepter, a great example of a modern Android device, integrating a physical keyboard, smoothing the transition to Android technology as traditional WinMobile/WinCE replacement devices become unavailable. There are just a few manufacturers that make Android devices with a physical keyboard and enhanced scanning; unfortunately, these devices use the same screen size as the legacy models they replace, significantly diminishing the user experience. The most common response users report to is, “The screen is just too small to be viewed easily”. Increasing font sizes can require screen panning and/or extra touches to perform the same functions. On devices without a physical keyboard, the touch keyboard can consume 40% or more of the screen real estate. 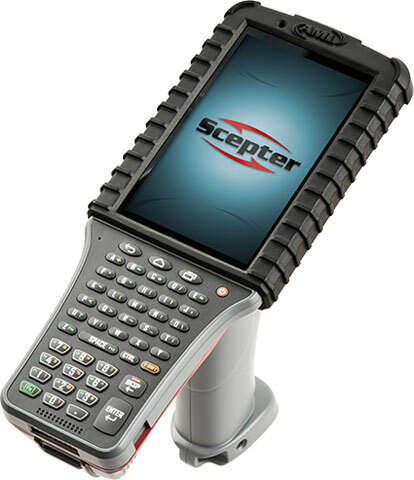 On a device with a large screen and familiar keyboard layout, like the AML Scepter, all of the best features are preserved with more display available for applications. The larger display allows for better touch functionality when using a text to HTML tool, like the Ivanti Velocity product. The Ivanti Velocity client coupled with HTML or legacy telnet applications, enhances the user experience with single-touch function keys, single-touch menus, color options and much more. 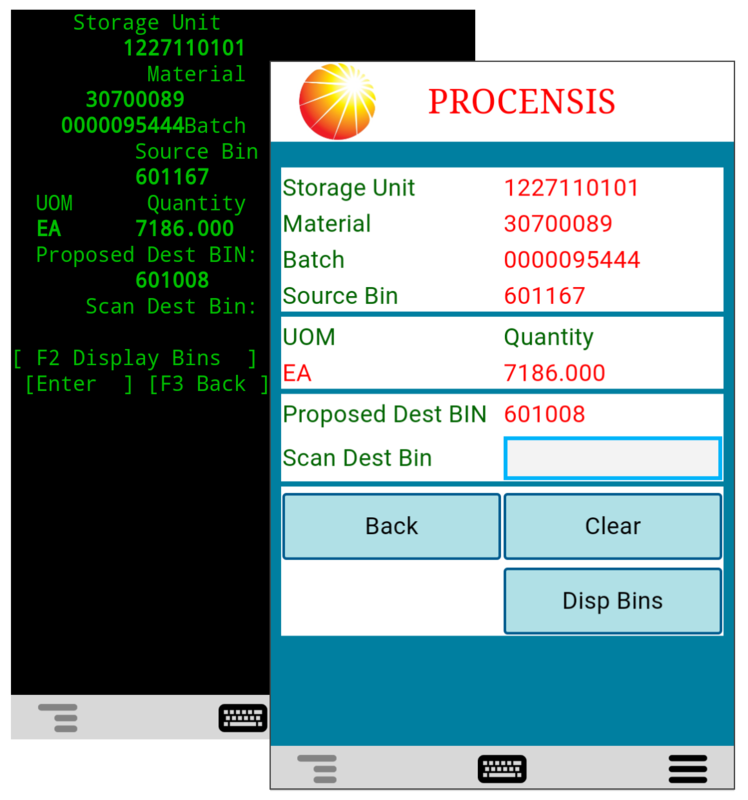 One of the major drawbacks of using a device emulating a smartphone is that integrated scanner offerings typically only support reading short range barcodes, limiting their overall usability, versatility and productivity. Many companies rely on the advantage of handheld devices with near/far scanning, often at distances of 20’ or more. Maintaining this functionality is a high priority for applications, processes and training. The AML Scepter Android handheld offers near/far scanning options in a physical format that feels familiar. With a larger 5” screen and similar specifications to the leading manufacturer offerings, the AML Scepter is lighter than the typical 3.7” display. It is a balanced 24oz computer while the competition’s similarly equipped device weighs in at 27oz. This device shows that you can have all the great functionality of a large bright screen, a physical keyboard, near/far scanning and all of the other features one looks for in an industrial-grade mobile computer. While there are many excellent use cases for traditional data collection devices, there are significant advantages to modernizing the user experience at the same time hardware is updated to current Android devices. With minimal effort and no backend changes, Procensis can update legacy telnet applications to appear sleek and modern on the newest devices, minimizing training requirements, extending the usefulness of those applications, optimizing processes and improving warehouse productivity and efficiency.